In the years after the passing of Apple's iconic founder, chief visionary and CEO Steve Jobs, Jony Ive, the company's principal designer and a close friend of Jobs, has become one of the most recognized faces and voices of Apple. And now, for the first time, Ive opens up about the first big new Apple product after the iPhone and the iPad: the Apple Watch. Was the Apple Watch conceived in talks with Steve Jobs when he was still alive? Did Steve wear a watch himself? And is Ive actually interested in the watch industry? In a detailed interview with watch experts from the Hodinkee journal, the iconic designer that is behind some of the most used technological products of modern society reveals the story of the Apple Watch. Below, you will find a quick recap of the most interesting and important revelations from the interview. For the full interview skip to the source link at the bottom of the article. The first interesting detail that Ive reveals about Steve Jobs is that he did not actually wear a watch. While there are a few well-known photos of Jobs wearing a watch, those seem to be isolated instances and Steve did not wear a watch on a regular basis. Was the Apple Watch project conceived together with Steve Jobs? It turns out that no, the Apple Watch started a few months after Steve's passing. The first discussion took place in early 2012, a few months after Steve’s passing. It caused us to take time, pausing to think about where we wanted to go, what trajectory we were on as a company, and what motivated us. Also, what concisely was our contribution to our users. And I think, incontrovertibly, that Apple since the 1970s has made difficult-to-comprehend and inaccessible technology easy to understand and accessible. Interestingly, just like Apple's marketing guru Phil Schiller, Jony Ive also uses the word courage when speaking about various hard and bold decisions that Apple does when designing a new product. It took a modicum of courage to understand that this secondary device – the crown – was a fantastic solution for scrolling and making choices. It also allowed us to offer a “second button” on the device. We were predisposed to thinking direct manipulation was sort of a panacea. Which was Ive's first watch? A relief for watch afficionados would be to know that Jony Ive is also an avid explorer of different watches and there are a few interesting details about his own favorites revealed in the interview. For instance, Apple's chief designer says he bought an Omega Speedmaster Professional in the early ’90s on a trip to Kowloon. "I was utterly seduced by its use in space exploration, which was predictably a childhood obsession. Somehow it epitomizes the optimism, ambition, and courage of invention. I fell in love with the slight awkwardness that you often find in the design of singular, purposeful, and highly functional products." Who influenced the Apple Watch design? Interestingly, Apple, the company that swears by the “we do no market research, we don’t hire consultants” mantra, actually did turn to quite a few experts for its own watch and Ive multiple times mentioned the great respect he has for traditional watch makers. Unlike a Macbook where it makes no sense to consult an actual notebook maker, with the watch the company did look into horological traditions. We knew there was so much to appreciate in this space that in order to ground ourselves, we had a series of people that helped. Just to begin to understand the historical space, having tremendous respect and deference for watchmaking. This was highly unusual for us, speaking to anyone outside of our team early on in a product development stage. But, normally there are no parallel products from which to learn. You know, we call this (pointing at my MacBook Pro), a MacBook, but you won’t learn more about this by understanding the nature of a physical book – so we didn’t talk to librarians. With the watch, we did. We spoke to an incredible list of experts in watchmaking throughout our development process. Another very big influence on the Apple Watch was designer Marc Newson, a person who crafted various timepieces and a close friend of Ive's, and you can see how in many ways the styling and look of the Apple Watch looks like Newson's Ikepods. Ive also discussed a few interesting metaphors around personal computers and watches, and said that in a way the miniaturization of modern technology resembles the same process that happened centuries ago. What’s interesting is that I think there is a strong analog to timekeeping technology here for our own products and computational devices. Think about clock towers, and how monumental but singular they are. They are mainframes. From there, clocks moved into homebound objects, but you wouldn’t have one in every room; you might have one for the whole house, just like PCs in the 1980s. Then maybe more than one. Then, time-telling migrated to the pocket. Ultimately, a clock ended up on the wrist, so there is such a curious connection with what we wanted to do, and that was a connection we were really very aware of. This and other interesting details are revealed in the full interview right below. 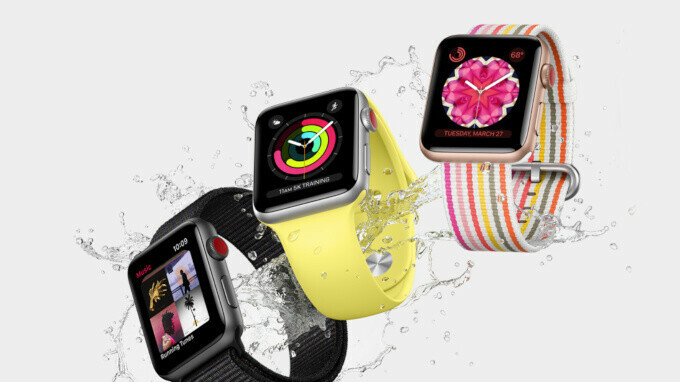 All this sounds very nice as a promotional talk but when it comes to Apple Watch's commercial success in comparison to Wear OS watches, the truth is that this has exclusively to do with the insane brand loyalty that Apple enjoys. How else can one explain that so many iPhone owners find the Apple Watch a useful and meaningful accesory, whereas Android users largely ignore Wear OS watches, when in fact Wear OS watches have loads of important advantages in comparison to an Apple Watch? Only one explanation; Apple loyalism. Other than that the Apple Watch is a very average, bland product that if it weren't for the Apple badge, it would be completely ignored by customers. I have moto 360 (2nd gen) and apple watch 3. Moto 360 have more watch face other then that apple watch is way ahead, connection is better, health monitoring is better almost everything works and feel better. That’s what Apple do maybe less features or late but they make each of them count and worth to have. You are comparing a very old, obsolete Android Wear watch with zero emphasis to health monitoring, with the latest from Apple Watch line up. This is not a fair comparison. The correct comparison would be between an Apple Watch 3 and an LG Watch Sport or Huawei Watch 2. There is one difference between Wear OS and Apple Watch, in my experience: The Wear OS is absolutely working against productivity, does almost everything wrong and it focuses on advertising Google services instead of making your life easier and doing the most important things a smartwatch should do: deliver reliable notifications and free your from your phone as much as possible. Some examples of bad design: - Two of the most important swipes (swipe left and swipe right from the watchface) are used to…change the watch face, they assume that this is the most important thing that you do with your watch. - Taps on the watch face are used to…set up the watch face (so many wasted opportunities !) - Accidentally dismiss a notification (it happens with such a small screen) and it's gone forever, no list of recent notifications available; - No customizable canned responses in apps. Only a few Google-delivered stupid sentences that never match what you really want to answer. - Invisible, thin white text which you can never see in sunlight. And many others. Want a truly useful smartwatch with 7-8 day battery life and true always-on screen ? Get a Pebble 2. It's ugly, but it will really make your life easier. It requires charging it daily and it is mostly a black screen when seeing it on someone's wrist. Fail. I was a windows and android user for a long time. When I had my first mac and iPhone the possibility of going back is slim. We became loyal because of the quality, satisfaction wins over the little annoyances. The integration of the devices is seamless. They are very expensive compared to other products but they can't beat the quality. I still wanted to get other apple products in the future while not to show off but to experience the quality of the products.